So it happened. Stan Lee died at the age of 95. Some of you may be crying, others feeling down, but the emotion I’m feeling right now is ‘reflective’. His death made me think more so about what his contribution meant. I never knew Stan personally, who knew if he was truly a good man? The word is Lee stole people’s ideas and ripped-off the true creators such as Jack Kirby and Steve Ditko by coming up with the bare minimum and calling the whole his own. As much as most of the credit went to Stan Lee, we’ll never know the truth as to whether Lee was a fraud. For all, we know Lee was rightfully credited for his work. There is no point in boasting about fraud or theft, or on the contrary, rightfully owning something or creating concepts. The thing about life is there are so many hidden stories, yet we always like to act like the authoritative figures of judgment. 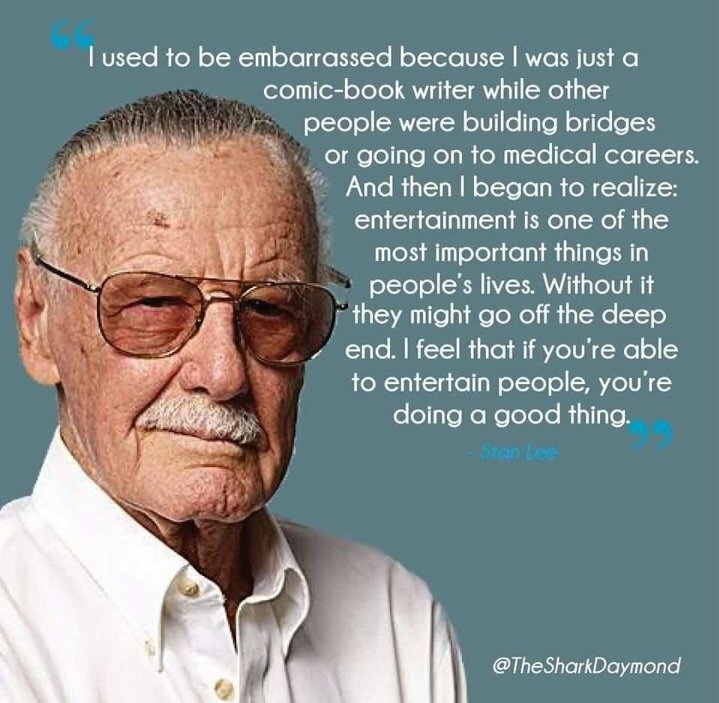 What I think we should all come to love is the fact that Stan Lee did have some impact on our lives. I feel like regardless of the truth, without him I wouldn’t be writing this blog. If he didn’t create Spider-Man, I wouldn’t have gotten into comics and that likely could’ve altered how I’ve come to view the world of pop culture as a whole. He influenced all of us geeks, and that’s something we’ll all know. The takeaway shouldn’t be that Stan Lee died or our ‘hero’ is gone. Only a select few knew him personally and even they can’t say what kind of man he was deep inside. But let’s think once again about what impact his contribution to the entertainment had. That’s the beauty; if we can even have that sort of influence on even one person, then that means you were paying attention to what truly mattered. Previous Comic Book Characters, A Sign of the Times?